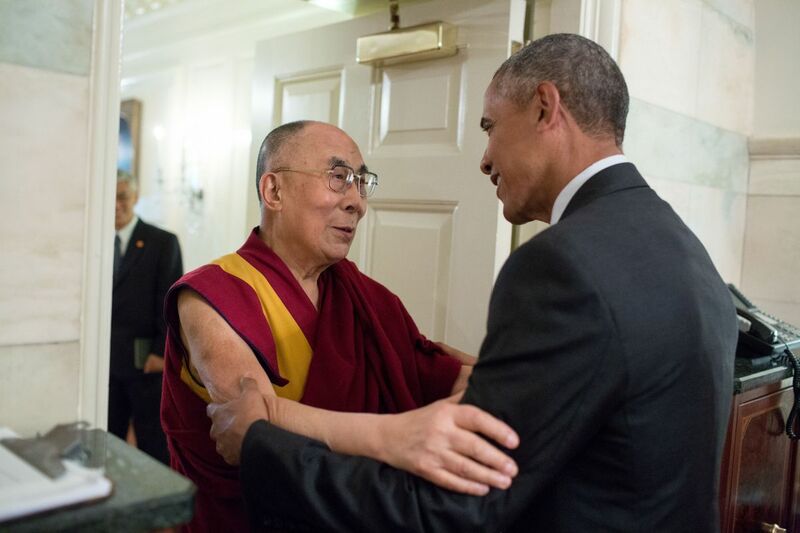 U.S. President Barack Obama met the exiled Tibetan spiritual leader, the Dalai Lama, at the White House on Wednesday despite a warning by China that it would damage diplomatic relations, according to Reuters. The meeting came at a time of heightened tensions between the United States and China over Beijing's assertive pursuit of territorial claims in East Asia, as reported by Reuters. Obama's fourth White House meeting with the Dalai Lama in the past eight years took place in the White House residence, instead of the Oval Office where the president normally meets world leaders. White House spokesman Josh Earnest said the choice of the residence emphasized the "personal nature of their meeting." He said Obama thanked the Dalai Lama for his condolences for the victims of Sunday's mass shooting at a gay nightclub in Orlando, Florida. Earnest added that Obama had in the past spoken of his "warm personal feelings" for the Dalai Lama, appreciation of his teachings and belief "in preserving Tibet's unique religious, cultural and linguistic traditions." Read alsoObama calls Orlando nightclub shooting attack on all AmericansAt the same time, Earnest said the U.S. position of considering Tibet part of China had not changed. In an interview with Fox News later on Wednesday, the Dalai Lama said he and Obama talked about the current situation in Tibet. He denied he was seeking independence and that it was in Tibet's interests to remain part of China, "provided we should have full right for preservation of our own culture, or rich Buddhist knowledge, knowledge of Buddhist philosophy, these things." The Dalai Lama also noted in the interview that Chinese President Xi Jinping had said Buddhism was an important part of Chinese culture. "So this is something new, for a leader of a Communist party, you see, mentioning some positive things about leader of Buddhism, wonderful."